Keep all of your stuff together and out of the way while you play. Empty your pockets, and keep the area around your feet clear with Joe’s Butler. 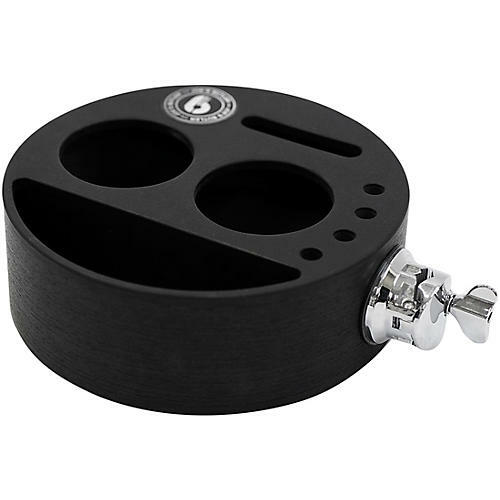 Attach this to your hi-hat or cymbal stand using a standard L-arm and you have a place to keep your, keys, wallet, phone and drinks. There’s even a place for your drum key and a pen for those last minute changes to your set list. Created in conjunction with Joe Donovan of British rockers, Blossoms, Joe’s Butler is the ideal companion for stage or studio. Can be mounted on a stand via an L-arm (not included).